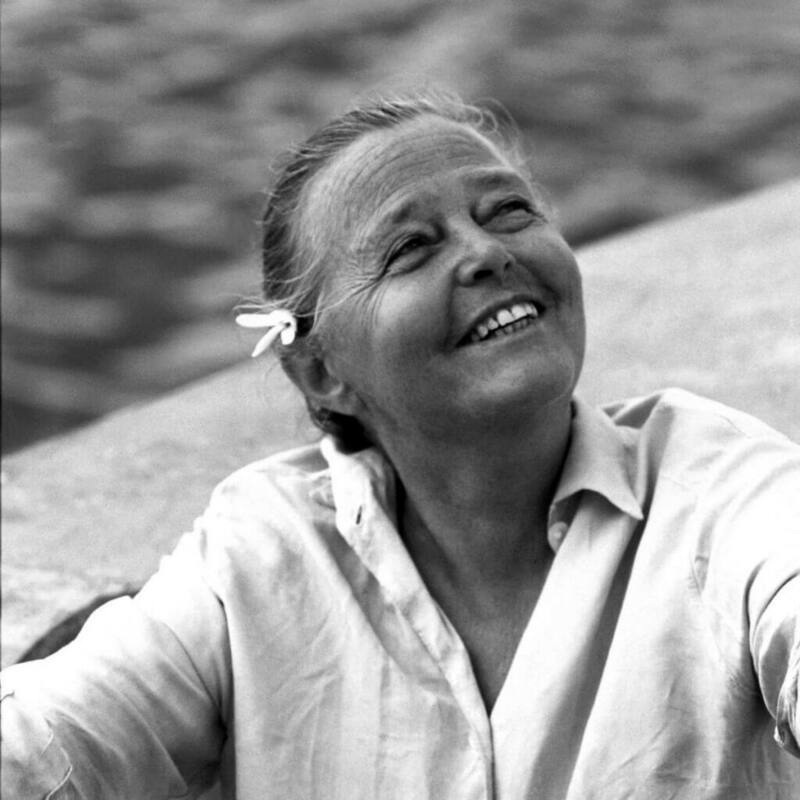 Together with Jean Prouvé, Pierre Jeanneret and Le Corbusier, Charlotte Perriand (1903-1999) is deemed to be one of the most important furniture designers of the mid 20th century. 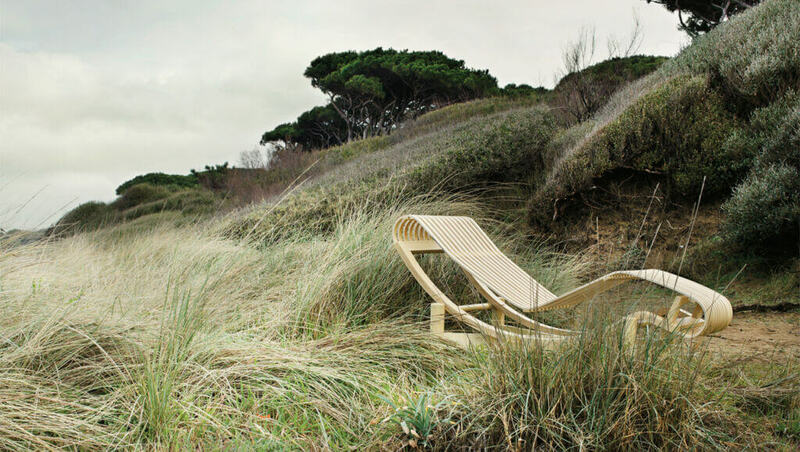 Jean Prouvé used to say that she was among the rare designers blessed with spontaneous harmonic contemporary thought. 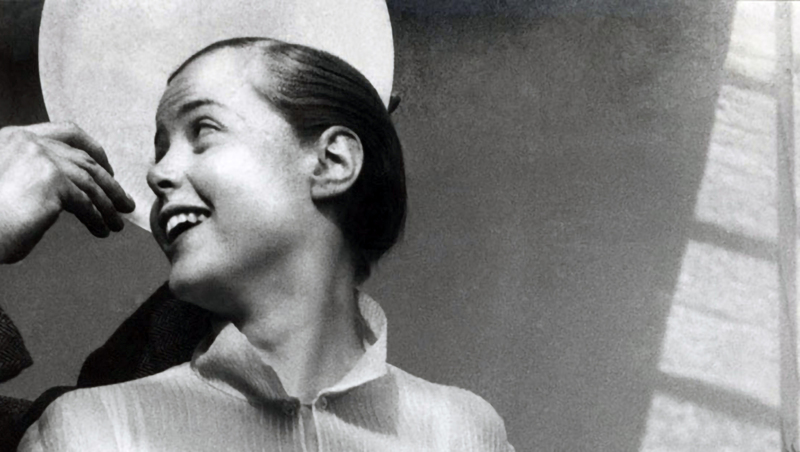 Charlotte Perriand was born in Paris, France to a tailor and a seamstress. Her high school art teacher noticed her drawing abilities early on, and her mother eventually encouraged her to enroll in the Ecole de L’Union Centrale de Arts Decoratifs (“School of the Central Union of Decorative Arts”) in 1920 to study furniture design until 1925. One of her noted teachers during this period was Art Deco interior designer Henri Rapin. 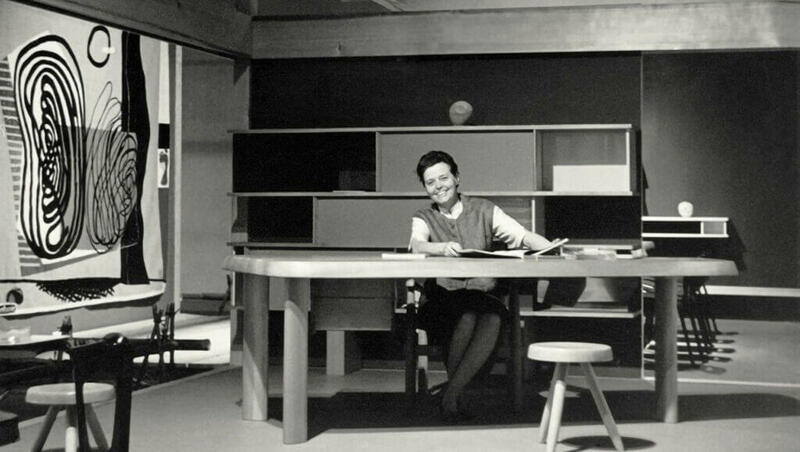 Perriand continued her education through attending department store classes that provided design workshops. She also went to lectures by Maurice Dufrene, the studio director of ‘La Maitrise’ workshop. In 1925, her projects from schoolwork were selected to be a part of the Exposition Internationale des Arts Decortifs et Industriels Modernes. Charlotte Perriand had full membership of the avant-garde cultural movement which, from the first decades of the twentieth century, brought a profound change in aesthetic values and gave birth to a truly modern sensitivity towards everyday life. In this context, her specific contribution focuses on interior composition, conceived as creating a new way of living, still today at the heart of contemporary lifestyle. In the sphere of twentieth century furnishing history, the advent of modernity made possible the entrepreneurial audacity of this true reformer of interior design. 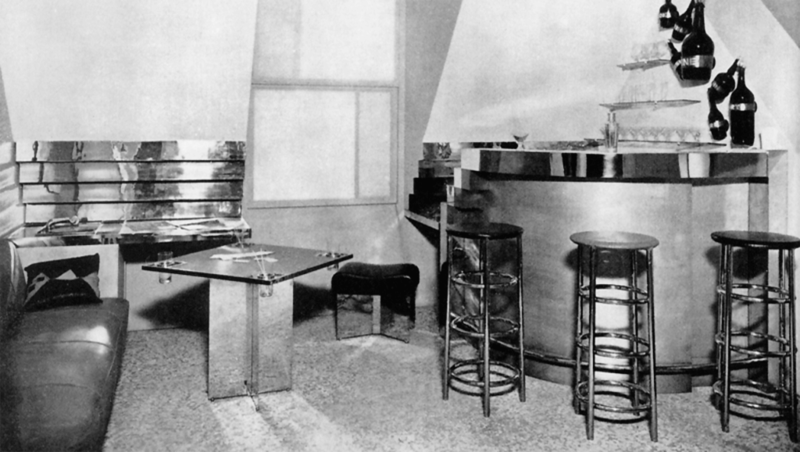 At the beginning of her professional career, she was acclaimed by critics for her Bar under the roof, exhibited at the Salon d’Automne in 1927 and constructed entirely in nickel-plated copper and anodized aluminum. In the same year, when she was just twenty-four years old, she began a decade-long collaboration with Le Corbusier and Pierre Jeanneret, at the famous design studios at 35, rue de Sèvres in Paris. 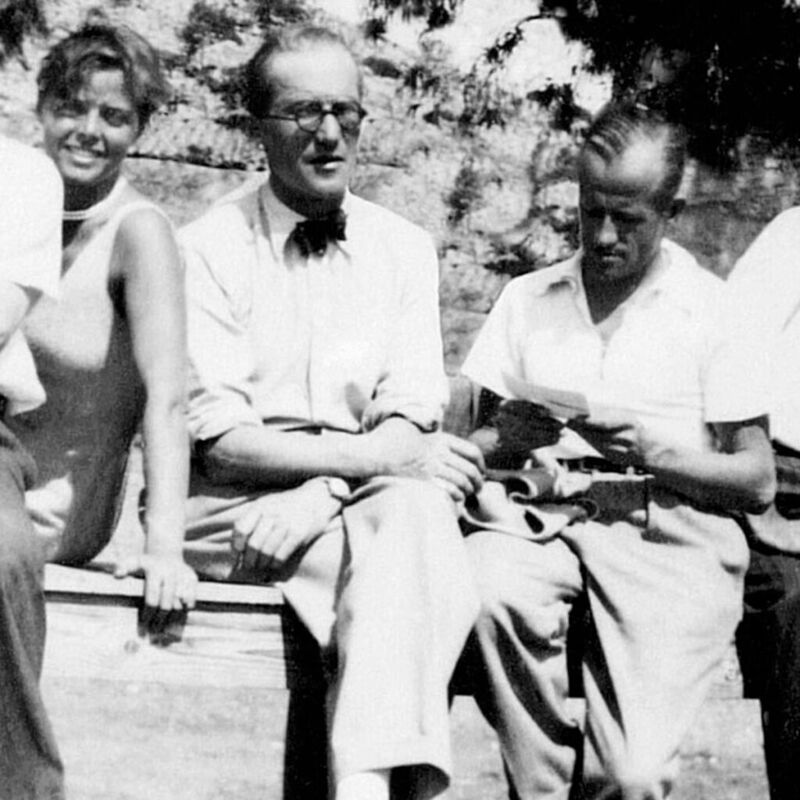 A portrait of Charlotte Perriand, Le Corbusier, and Pierre Jeanneret. 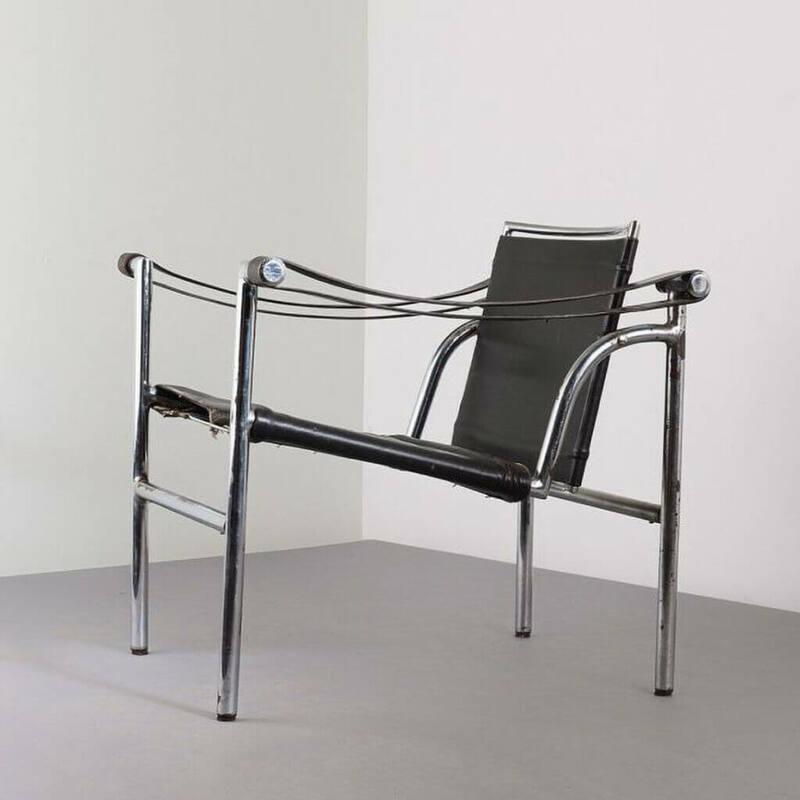 Her presence in the Le Corbusier studio is visible in all the furnishings she designed with him and with Pierre Jeanneret: and so Charlotte Perriand becomes a cornerstone in the reformation project promoted by the architect, adding a distinct dimension of humaneness to the often cold rationalism of Le Corbusier. In her creations she manages to animate the fundamental substance of daily life with new aesthetic values: in particular her talent and intuition in the discovery and use of new materials manifest themselves to their full extent. In 1928, she designed three chairs from Corbusier’s principles that the chair was a “machine for sitting,” and that each of the three would accommodate different positions for different tasks. At Corbusier’s request a chair was made for conversation: the B301 sling back chair; another for relaxation: the C2 Grand Confort chair; and the last for sleeping: the LC4 chaise longue. 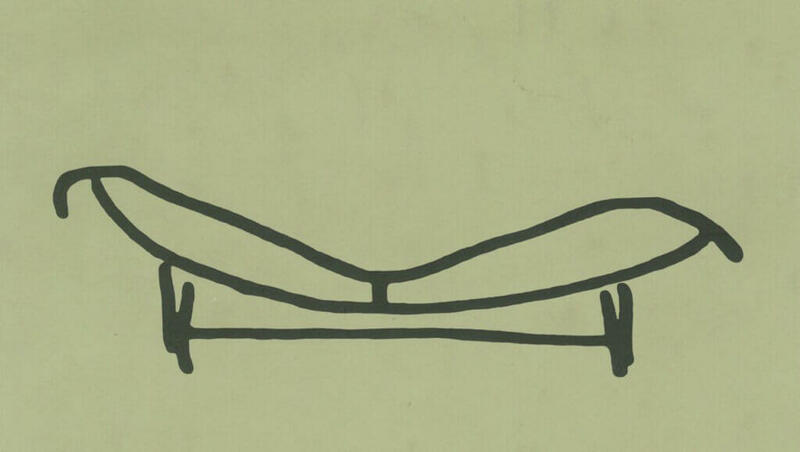 One of Perriand’s early sketches of the LC4. The original prototypes were made for the interior of the Villa Church Pavilion. The ten-year long collaboration with Le Corbusier and Pierre Jeanneret, and her Japanese experience, represent periods of intense creative effervescence in the life of the artist. During her long stay in the Far East (1940-1946), she reveals her artistic talent to the full, through a reinterpretation of the reality of life to echo both tradition and modernity. She traveled to Japan as an official advisor for industrial design to the Ministry for Trade and Industry. While in Japan, she advised the government on raising the standards of design in Japanese industry to develop products for the West. By way of example, worthy of mention are the furnishings produced using traditional bamboo processing techniques, capable of enhancing the new forms already experimented using steel-tubing. The story of the Tokyo chaise lounge is a story of travel, of dreams, of conversations between one way of seeing and thinking about the world and another. Bringing the soft, considered touch of her hand and feel for the Orient to the technologically refined design, Perriand pulled back from the harsh edges of modernism and re-engaged with the natural world. She managed to achieve not just a balance, but a deep synergy of culture and nature. 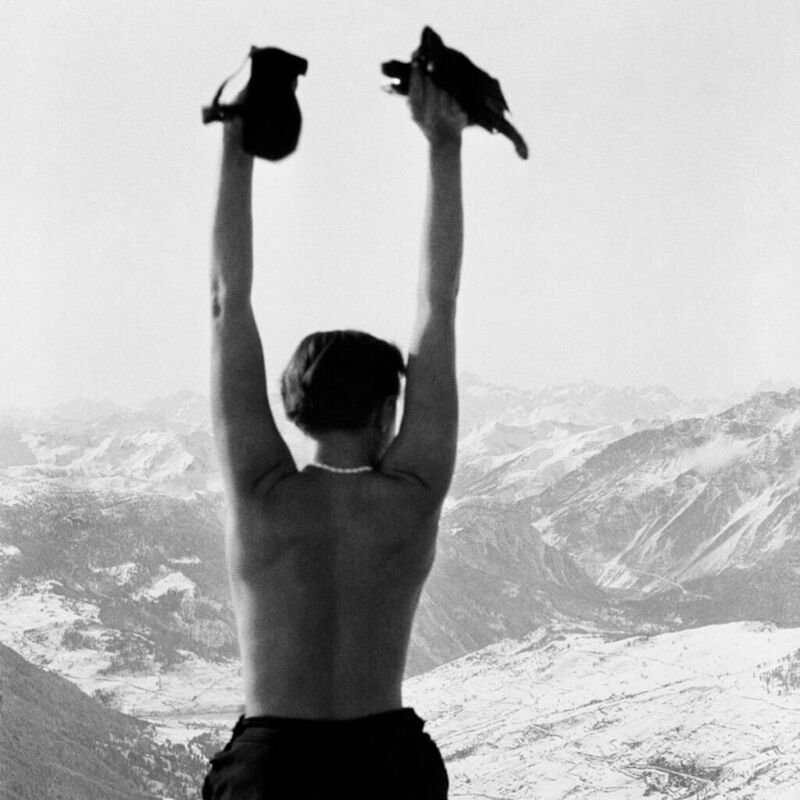 The ski resorts at Les Arcs in Savoie was her masterpiece, and combined Perriand’s interests in prefabrication, standardization, industrialization, mountain architecture, and has been called the climax of her career. Since guests would spend most of their time outdoors, Perriand designed minimal rooms, the minimal cell style being a hallmark of her design. Instead, the buildings have great spaces that are open the nature and the elements. Charlotte Perriand was woman of boundless design fluency, she was a master of translation, tirelessly working to transform her experiences of the world, through design, into visions of contemporary living. Architect, artist, traveler, designer, and urban planner, Perriand moved across scales, using her travel photography as a form of designerly-research, informing her projects. She died three days after her 96th birthday in 1999.